In an absolutely crucial game in the Premier League, the champion Manchester City welcomes the current leader Liverpool at the Etihad Stadium. This derby game is going to get played on Thursday night. The situation at this moment is pretty simple. Manchester City are trailing on 7 points behind Liverpool, being currently third in the standings. The Cityzens do not have any other option, but to win this clash, if they want to keep their chances of defending their title. If Liverpool win the game and increase its lead to 10 points, then for City it would be incredibly difficult to catch up. Manchester City were doing very well in the league, but in the last month Pep Guardiola’s team found itself in a crisis. City lost three times in just few weeks of time, conceding defeats against Chelsea, Crystal Palace and Leicester City. This is the reason why the champions lost their position as leaders in the standings, even dropping to third place. In their last game Manchester City managed to win, though, beating Southampton with 3-1 away from home. David Silva and Kun Aguero scored for City, while Southampton’s James Ward-Prowse scored himself an own goal. Liverpool on the other hand are just flying in the league, winning game after game. Right now the Reds are the only unbeaten team in the league so far, having a record of 17 wins and 3 draws. In their last five games Liverpool won five times. In their last fixture the Reds achieved a thrilling 5-1 win over Arsenal at the Anfield. Roberto Firmino scored a hattrick for the home team, while Sadio Mane and Mohamed Salah also scored for Jurgen Klopp’s team. 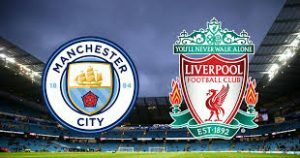 This match is all or nothing for Manchester City, while Liverpool would be happy even with a draw, keeping their 7 points lead in front of the Cityzens.